Time for a short teaser… There’s a delicious recipe coming. 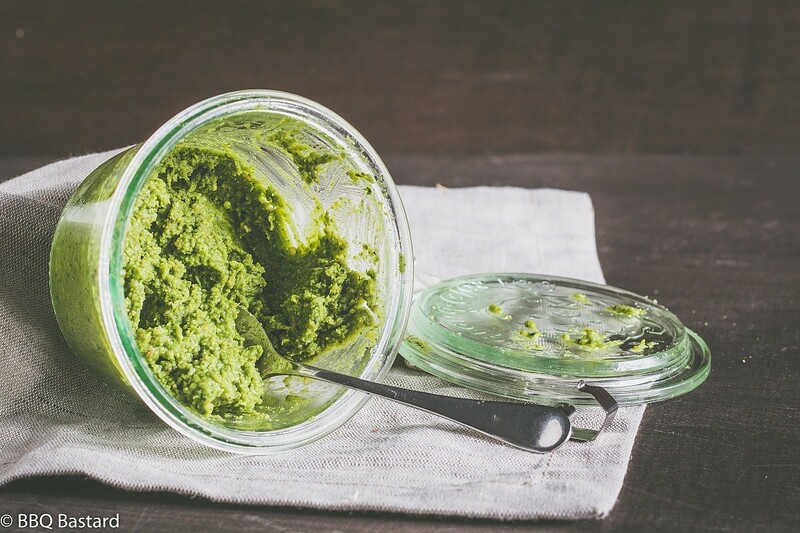 For today it will be a short post introducing this homemade Arugula Basil Pesto. I want to serve you this recipe so you can try it before I release the next recipe. 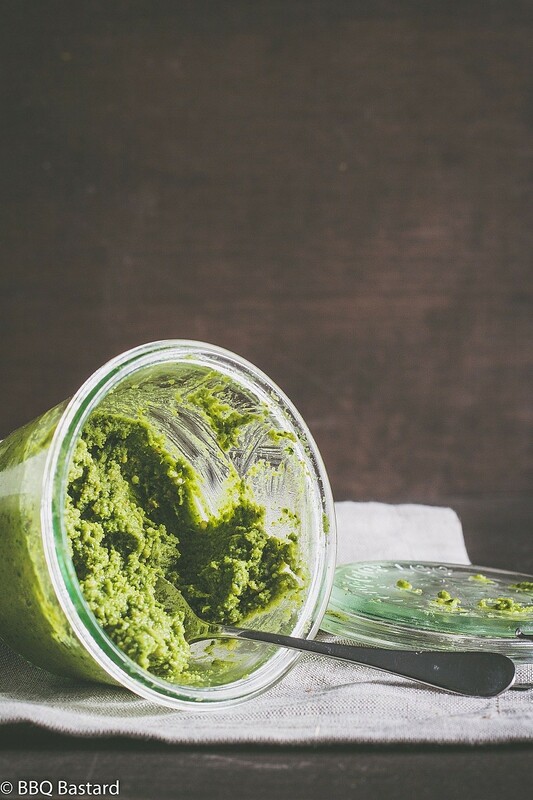 You’ll need this and will prefer a homemade pesto above a store bought one! Those interested in what I’ve been doing lately might be interested in the following playlist I made. I attended Graspop Metal Meeting this year and made a spotify list with the some highlights. It was a verry wet edition with some highs and unfortunately some lows. Virgin steele and the drunken bastards of Raven were a serious let down. Satyricon, Anti-flag, Gojira and Rival Sons on the other hand put down a series of amazing gigs on saturday. Each in a different way. After Graspop I came back home and faced some terrible news at work. It made me realize life is precious and I should keep the ones I love even closer than before. I’ve been practicing my photography skills lately. That’s one of the reasons I was lacking some time lately. I had some tasks for photography course and hope to get some good results soon. Besides I have been experimenting with a new style of editing. I hope to hear your thoughts on them. About the arugula basil pesto recipe there’s not that much to say! I wanted something different that’s why I opted for a mixture of basil and arugula. It’s delicious and a bit more peppery than the regular pesto. I baked the pine nuts to enhance their flavor and chose for a mixture of lemon, white wine vinegar and sushi vinegar to get a well balanced palate that ends up a little bit sweeter than the traditional pesto. I admit I only had a little bit lemon juice left so I picked the sushi vinegar instead. Since it lacked some punch I added some more white wine vinegar with good result. 2. Add parmesan, garlic, basil, arugula, baked pine nuts and olive oil to your blender and mix on high speed until you get a smooth pesto. 3. Add salt, pepper, lemon juice, white wine vinegar and sushi vinegar at taste. Combine with chicken, salads, red meat, ... Have a nice meal!